Take advantage of the high demand for accounting and finance talent. Top talent is in high demand and fairly low supply. Skilled accounting and finance professionals are landing jobs and advancing their careers, and you have the education, skills and experience employers need. There are finally signs that the economy is heating up. According to the U.S. Bureau of Labor Statistics (BLS) , the unemployment rate dropped to 5.6% in December 2014, the lowest it has been since June 2008. Plus, 63% of companies that responded to LinkedIn’s 2015 Global Recruiting Trends survey said they expected hiring volumes to rise, and 46% anticipated an increase in hiring budgets. Although some industries are not recovering as quickly from the recession as others, the competition for fresh talent is intense in certain industries—including accounting and finance. In fact, per the BLS, employment for accountants and auditors is expected to grow 16% from 2010 – 2020. Furthermore, according to CPA Trendlines, CPA firms are hiring a record number of graduates. What makes hiring good people so difficult for employers? The simple answer is there are not enough qualified candidates to fill the positions. The skills you need to compete successfully for your dream job aren’t limited to the technical ones. Employers are also looking for candidates with the right so-called soft skills, but they often struggle to find them. 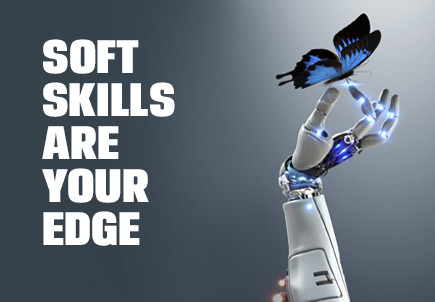 Another survey conducted by CareerBuilder found that 77% of employers considered soft skills just as important as hard skills. Richard Chambers, President and CEO of the Institute of Internal Auditors, told Compliance Week that a rise in regulatory demands has created more jobs for accountants and auditors. For internal audit, "tight staffing arises not only because of the shortage of accounting talent but also because of changes in the demands on internal audit that require specific operational or industry experience," Chambers said. That change in demand is driving companies to broaden their search. The thought of networking tends to make even the most confident job candidate nervous. Don’t think of networking as pushing yourself forward and pleading for a job. Instead, look at networking as an opportunity to learn more about your field and to meet some of its influential leaders. One of the best ways to network is to become an active member of a professional association. It’s a good way to raise your profile; recruiters scout associations for talent. During your networking, you may find that you want to set up an informational meeting to learn more about a particular career path or company. Go prepared with good questions, behave in a professional manner, keep the meeting short, and follow up with a thank you note. And no bait and switch—don’t try to turn an informational interview into a job interview. Before you set out for that first networking session, update your social media presence. Just as you’ll be searching the Internet for jobs, prospective employers will be searching the Internet for information about you. A 2014 CareerBuilder survey found that 51% of employers who research job candidates on social media said they’ve found content that caused them to not hire the candidate, up from 43% in 2013. Also, 45% of employers said they use search engines such as Google to research potential job candidates, with 20% saying they do so frequently or always, according to the survey. On the other hand, 33% of employers who research candidates on social networking sites said they’ve found content that made them more likely to hire a candidate. 23% found content that directly led to them hiring the candidate. When looking for your dream job, where should you cast your net? In 2013, 53% of recruitment activity involved the Internet, according to Adecco’s "Social Recruiting: A Global Study." According to Adecco, the social media platforms that are regarded as the most efficient in the recruitment process are LinkedIn and Facebook. LinkedIn itself, in its "2015 Global Recruiting Trends" report , found that social professional networks are the fastest growing source of quality hires globally, increasing 73% over the past four years. Employers are also learning the importance of stand-alone mobile sites in the recruiting process, according to "Smartphone, Dumb Recruiting: Why Mobile is a Must ," a survey by Jobvite. According to the survey, 43% of job seekers have used their mobile device to engage in a job search. So get out your smart phone, and see just how tech savvy a prospective employer is. In general, old-fashioned employee referral programs continue to be popular with employers. For most companies in the United States, employee referrals range from 20% to 40% of their hires in any given year, according to CareerXroads. Employee referrals account for 45% of non entry-level placements at Ernst & Young, up from 28% in 2010. The company’s goal is 50% according to an article in The New York Times. Other companies like Deloitte offer prizes such as iPads and TVs, along with traditional cash incentives for employees who refer new hires. This reliance on employee referral programs makes it all the more important that you actively network and establish contacts with people at the companies that most interest you. Always tailor your resume to the specific position for which you're applying. When opportunity knocks, be ready with an updated resume that highlights your ability to think analytically and solve problems in a structured, methodical way. 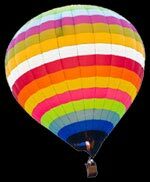 Emphasize your ability to communicate with clients, managers and colleagues. Focusing on skills that apply to your industry. Mentioning any programs, software or tools that are prevalent in your industry, to show that you keep up with the latest technology. Using data and stats to show the effectiveness of your work at your current and previous jobs. To get past the robot parsing your resume, make sure the resume contains some of the key words that are outlined in the job description, as well as terms that relate closely to those key words. For example, don’t only use the term CPA, but also accounting, audits, financial statements, etc. Your cover letter should be short (less than a page) and compelling. Start with a statement that makes it immediately clear why you want this job and why you’re the right person for it. Prepare for the job interview by thoroughly researching the company. Be ready for a preliminary telephone screening, with a standard list of questions, which is often used to weed out candidates. Be on time. Dress appropriately. These are obvious tips, but you’d be surprised by how many candidates show up and become memorable in the wrong way—for being late or for wearing inappropriate attire. Job seekers in some industries can get away with business casual, but in accounting and finance, good judgment means conservative attire. Men should wear a dark suit, dress shirt, tie, coordinating socks and dress shoes. Women should wear a simple suit with a skirt or pants, a conservative blouse with the suit, and understated make-up, accessories and nail polish. Prepare thoroughly for interview questions. Role-play so that you’re ready with well-thought-out answers about your education, work experience and other qualifications. Three popular techniques today are structured or patterning interviewing, behavioral interviewing and situational interviewing. With structured or patterning interviewing, you will be asked a standard list of questions that are asked of all applicants. The goal is to produce uniformity of data from one interview to the next and to make sure that no key questions are forgotten. Don’t be trapped by the format. Whatever the standard questions, diplomatically use them to work in the points you want to make about your qualifications. Behavioral interviewing calls on you to back up your words with examples. With this type of interviewing "a person is asked to accurately describe real situations they have encountered and what they did to resolve the issue or problem," says Lester Rosen, author of The Safe Hiring Manual. 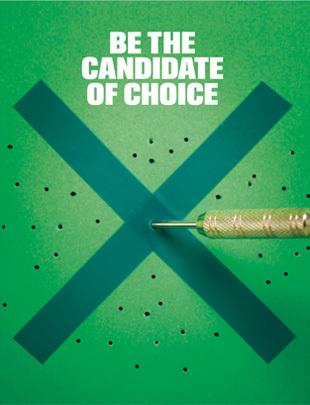 This method is based on the idea that "the most accurate predictor of how a candidate will perform on the future is how he or she performed in the past in a similar situation." 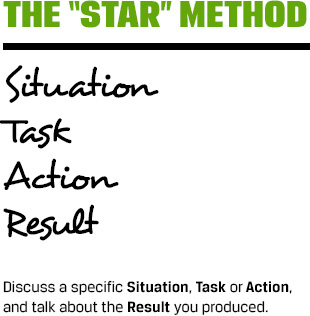 To prepare for this type of questioning, use what’s known as the "STAR" method. That’s a structured response to a question in which you discuss a specific Situation, Task or Action, and the Result that you produced. Use this method to tell stories that illustrate your major achievements and ways that you have excelled. You don’t have to limit yourself to workplace stories. In situational interviewing, you are asked to imagine a set of circumstances and explain how you would respond to that situation. In this case, the questions are future-oriented, not past-oriented. One reason interviewers like this approach is that it requires all interviewees to respond to the same hypothetical situation rather than describe their various past experiences. Some companies prefer the panel interview approach, with representatives from various areas of the business. If you find yourself facing down a panel try to relax and interact with each member. During your interview, make sure you ask questions, as well as answer them. Asking well-researched questions demonstrates your interest in the company and position. Plus, you want to find out if this is a place where you really fit the culture and want to work. Work arrangements, such as flexible work hours, working from home and job sharing, can make a critical difference in the quality of your personal and professional life. Which rewards should you be looking for? Obviously, salary is an important consideration. Good health benefits are also important, but don’t forget about retirement benefits as well. We tend to focus on salary and health benefits and often overlook retirement benefits, but you should always consider the long-term advantages of a company contributing to your life after work. Work arrangements, such as flexible work hours, working from home and job sharing, can make a critical difference in the quality of your personal and professional life. This plays the biggest role in striking a work-life balance—something companies are gradually realizing they must promote. Look for strong opportunity for professional development and career growth. The Towers Watson study "Attracting and Retaining Finance Workers" addressed "The Big Three: Salary, Security, Advancement." It found that finance professionals put slightly more emphasis on career advancement than on security. "In an environment where few organizations can promise any kind of security—and where many are often constrained on the pay side as well—crafting an employee value proposition that emphasizes career growth and planning can provide a competitive edge in recruiting" the study advises employers. The focus on career growth may also "reflect the reality that opportunities do exist for candidates in finance with the right skills, in contrast to what's happening in a number of other disciplines today. And the availability of attractive career options may well lessen to some extent the general concerns about longer-term job security that have consistently emerged in employee surveys in the last few years." In fact, career advancement is so important to finance workers that 68% of the respondents said they were willing to relocate to advance their careers. Keep in mind that the willingness to relocate allows you to cast a wider geographic net in your job search and expands your pool of employers of choice. Finance professionals place learning and skill development fourth on their list of attraction drivers, according to Towers Watson. "They recognize the importance of expanding their skills and knowledge to get ahead, and they expect some level of support from their employer." Additionally, many of your fellow job candidates—especially Millennials (people born in the 1980s and 1990s)—are looking for companies that fully leverage technology, according to PwC’s "Next Gen: A Global Generational" study , published in 2013. Companies of choice should be able to "accelerate the integration of technology into the workplace, enabling workers to harness technology in ways that give them more flexibility and increase efficiency." The study also advises employers to "create a meaningful rewards structure that regularly acknowledges both large and small contributions made by employees," as well as "emphasize teamwork, appreciation and support from supervisors, and give employees honest, real-time feedback, face-to-face." With top talent in high demand and experienced and skilled accounting and finance professionals in short supply, now really is the right time to find your dream job. Start by doing your research and connecting with the right people through networking. Construct your social media profiles and resume to show companies that you have the technical and soft skills they are seeking. Prepare for interview questions by role-playing so that you’re ready with well-thought-out answers about your education, work experience and other qualifications. Don’t forget to follow up with a thank you. Using your research, networking and communication skills will help you find the right company that offers not only tremendous salary and benefits, but professional development, career growth and work-life balance.